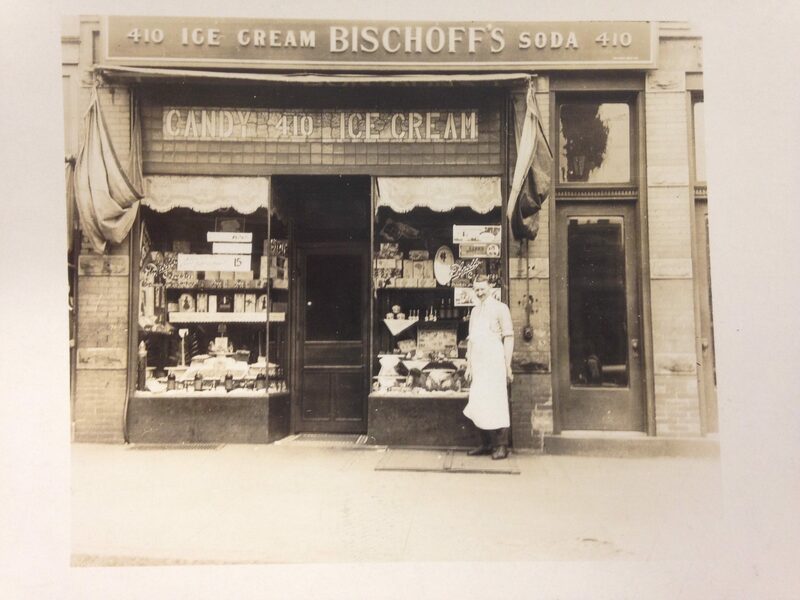 Located at 410 Springfield Avenue, near the corner of Littleton Avenue, Bischoff’s was an ice cream parlor and candy store. As was the custom at that time, all candies and ice cream were made in the store and sold fresh to the public. The photograph of Mr. Bischoff was taken and made into an RPPC(real picture post card) which was a common practice . The back of the card bears the inscription: “Pop 410 Springfield Avenue 1928”. 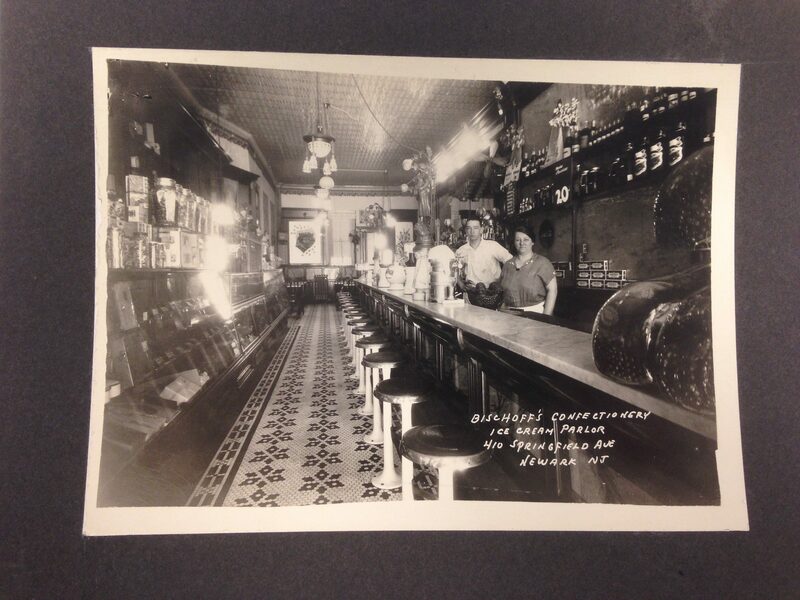 The second photograph shows the interior of the ice cream parlor. In all respects, this establishment exemplified an early twentieth century confectionary. Mosaic tile , a dark wood counter topped by a thick slab of marble, glass cabinets to display the home made candies- were all hallmarks of a classic ice cream parlor. To this day, the original counter and mosaic floor have been preserved . The current owner , who has operated a restaurant at that location for over twenty years, has no intention of changing the floor or counter. The building the business is located in is one of the few left standing from the late nineteenth century when Springfield Avenue was known as “German Hill”. Finding the building still standing with a significant portion of the ice cream parlor intact and in use, just warmed my heart. Yes I have on 10/29/16 and 10/30/16.